To celebrate World Book Day we will be having a ‘little’ book club! 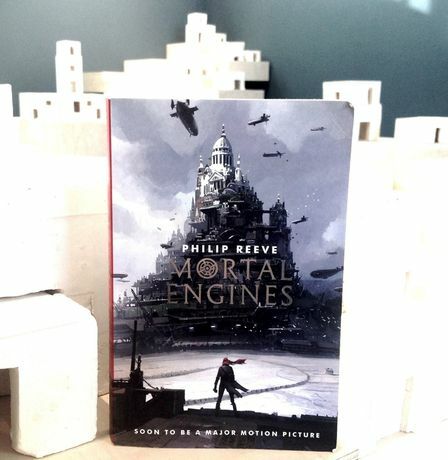 To complement our current exhibition The Building Project we will be reading Mortal Engines by Philip Reeve a book where buildings have taken on a life of their own. Set in a captivating futuristic landscape, this hugely imaginative story is a vivid blend of action, romance, mystery, crime and horror. Packed full of colourful characters and locations, it is a whirlwind adventure that challenges the central characters and the reader to re-examine their attitudes and preconceptions. Join us for a friendly discussion about the novel over some crisps and nibbles!